Power switching controller for 2/3 speed motor and Dahlander. The CM 54-D system simplifies control and switching in three-speed motors, reducing the system to a minimum of two double push-buttons or a switcher. CM 54-D equipment consists of five inputs for the speed, direction of rotation and limiters signals, and four power outputs to act on contactors. Between these inputs and outputs there is a microprocessed system that manages any switching in a three-speed motor including the management and operation of the limiters. Inputs and outputs are galvanically isolated. 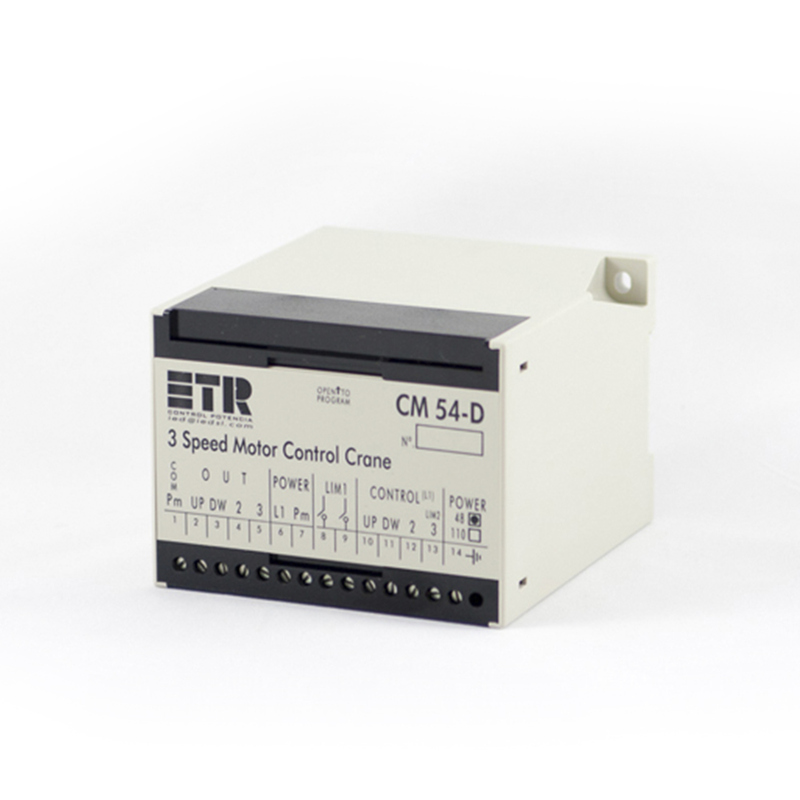 The CM 54-D device responds to any type of command, either push-buttons or master controller, performing accelerations, decelerations and timings as programmed. In addition, the CM 54-D device has several operating modes. They are selectable from the microswitches located inside the equipment. It is applicable to the control of 2/3 speed or Dahlander motors in cranes and bridge cranes for elevation, turning, carriage and travel.